My passion for healthy baking lead to me to do the unthinkable - baking the doughnuts.Thankfully I wasn't the first one to be thinking of doughnuts with a healthier profile.There were quite a few recipes available on searching,Heidi's stood out on the top,I follow her method closely,although the ingredients vary a little. Among the changes to the original recipe,I mixed in some whole wheat pastry(gotta have the fiber).Then the fat had to be in moderation too ,so combining butter and oil eased the fat calories furthermore. 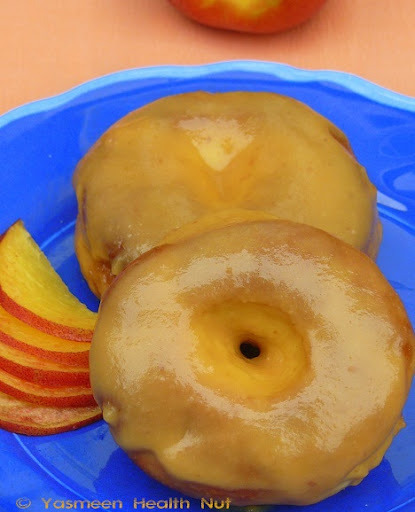 The fresh fruit and honey glaze makes all the difference,without the glaze these wouldn't be as attractive and appetizing.Choose an intensely fruity glaze to add that essential layer of flavor. The only downside,these not as moist as deep fried so cannot be stored for weeks,best if consumed the same day,or in a day or two.If that doesn't seem possible ,bake them in smaller batches instead. 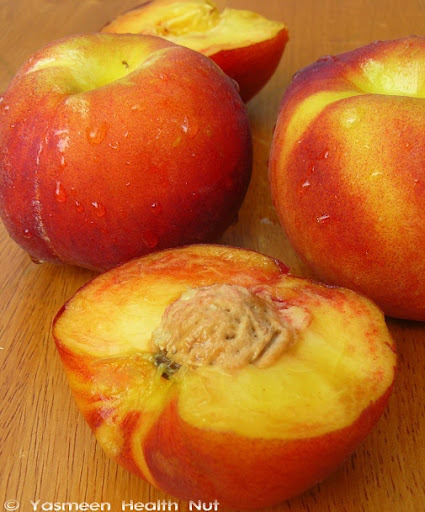 Prepare the glaze,by melting the butter or coconut oil in a large saucepan,add the peaches and cook until soft,about 5-6 minutes.Stir in the honey towards the end.Blend in a food processor until smooth. Dip both sides of the baked douts in the warm glaze.Serve immediately.Could be refrigerated in air tight container for a day or two,but tastes best the same day. The holey temptation without the guilt - these are half the calories than there deep fried overly sweet counterparts,a reason enough to wholly enjoy them. The doughnuts are now a part of Yeast Spotting. wow its a superb version of doughnuts ..looks sooooo delicious n awesome from long i am planning to prepare the doughnut ,thank u yasmeen of this wonderful recipe ..very well explained too ,i will try this soon.. 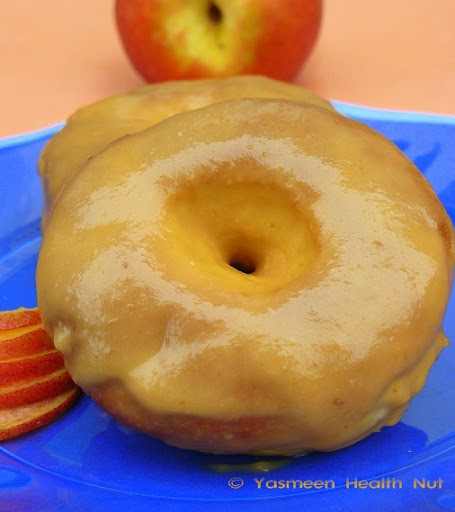 Your healthy version of baked doughnuts looks really good, peach glaze looks so glossy and yummy. Doughnuts luks perfect,healthy version...love to follow. Prefectly backed doughnuts..such a healthy version,love it..beautiful glaze too.. Very delicious and healthy doughnuts.Love the fruit glaze.Very nice pics. WOW..looks so good, delicious and healthy. Wonderful doughnuts! I love that glaze. Delicious looking doughnuts..I seriously don't have courage to make doughnuts at home.. you are amazing Yasmeen. Thanks for this recipe. interesting recipe and a nice healthy variation on the old favorite. i'll have to try this soon. 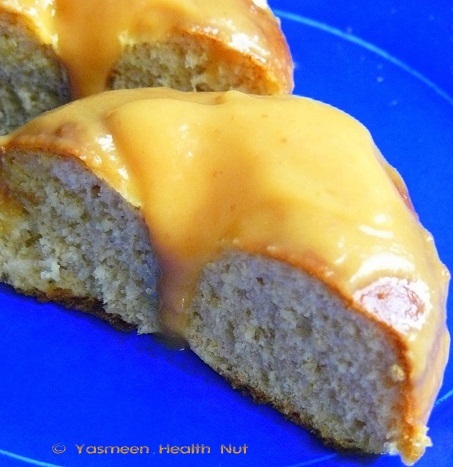 oh wow baked donut .. delicious idea yasmeen.. will try this out some time. Total yum! That peach honey glaze sounds like pure heaven. I think I woudl like these more than "normal" donuts! Lovely doughnuts...and I agree that these are much better than the fried donuts you would normally get. These are so good. I have a mini donut pan at home, maybe I will try making some. They are much better for you than the fried version. 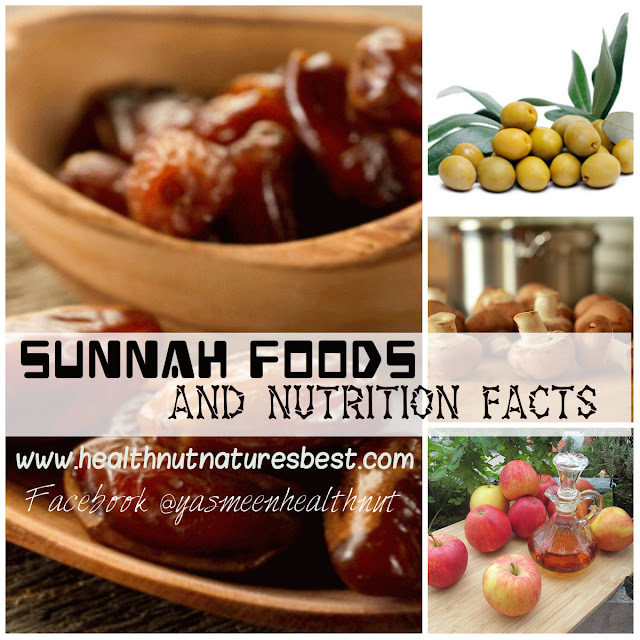 doughnuts and healthy.. wow!! looooooved it.. bookmarked :-) btw thanks 4 dropping by my blog.. you have a lovely space here . do keep in touch ! 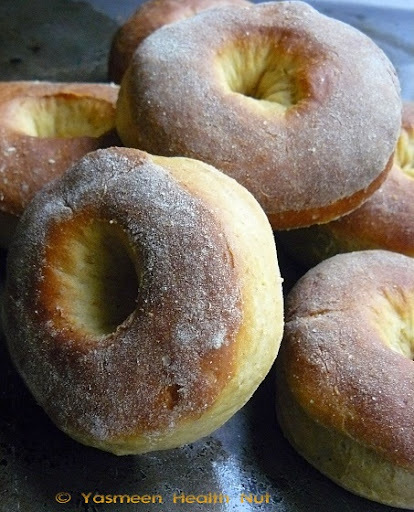 Baked doughnuts is wonderful idea, usually i will stay away from doughnuts because of its calories and sugar. I haven't had a doughnut in a few years now because I have to get away from deep-fried foods. I LOVE THIS BLOG! It wuold never have entered my mind that great doughnuts could also be baked. I love that you use whole wheat in your recipe. I grind my own wheat and use it fresh in my breads and other foods. (Freshly ground whole wheat also makes a great soup thickener.) Thank you Yasmeen, thank you! I saw this blog first a week or two ago. Now I realize, I need to come back each and every day! Your baked doughnuts look very tasty. Beautifully glazed donuts, what a creative recipe! I would like to try baked donuts, my mother made us fried(old fashioned style) donuts for a treat when we were growing up so homemade donuts always look good to me! I've been contemplating this since the food blog donut craze, but decided it might be a bit weird to bake donuts. You've inspired me though--these are back on my list. Yasmeen, those baked doughnuts look so tempting! 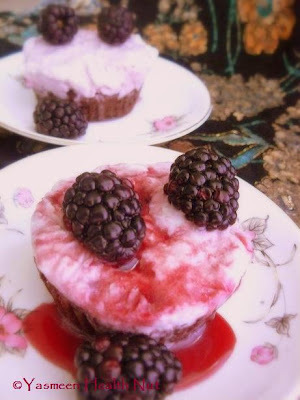 Wonderful job to give them a healthy twist with a pairing of a fruity topping. woow..am really loving that glaze..
Delcious baked donuts.The glaze peachy glaze is unlike any I have ever tasted. I baked the recipe from the KAF site. Those were ok. Yours look much more promising. They have a really nice crumb. I love the idea of a fruit and honey glaze. I don't like doughnuts. I really don't. 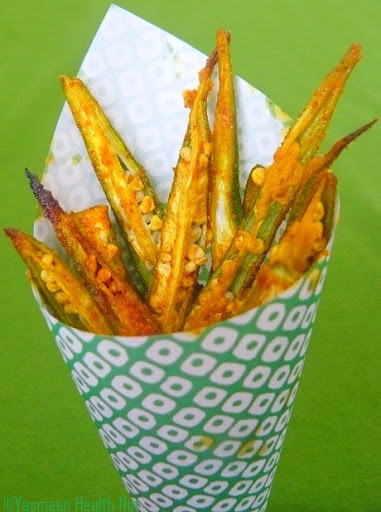 The fact that they are deep fried creates greater aversion for me.But this just is making me re think. Scrumptious isn't the word enough!